Arnott's biscuit chocolate bars are here to satisfy your snack cravings. There’s nothing on this Earth we love more than various snack foods being incorporated into blocks of chocolate. Snack food marriage is by far our favourite kind of engagement announcement to see pop up on Facebook. Not a single doubt about it. We were here for it when Cadbury tried it with chips, but this latest announcement has quite literally made our year. Nay, our lives. The six health benefits of eating chocolate (like we needed any). Post continues after video. 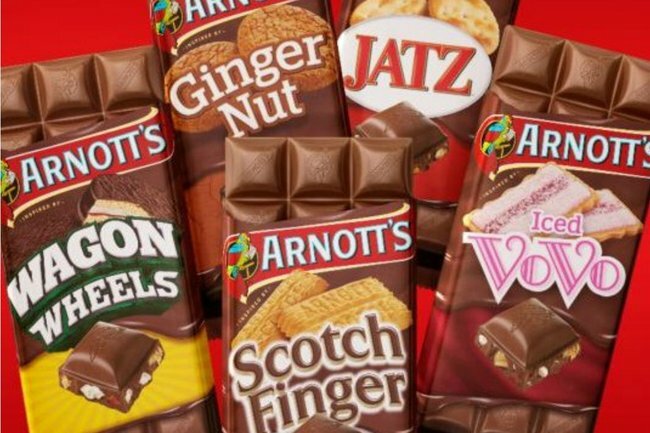 Arnott’s, purveyor of the finest biscuits in the nation, have turned their iconic range into both blocks and bars of chocolate and hello 4pm snack for the rest of our lives. The new line will see Iced VoVo, Scotch Finger, Wagon Wheel, Ginger Nut, and even our favourite salty platter cracker Jatz crushed up into the blocks; creating a whole new world for snack lovers i.e. us. Honestly, what a time to be alive. “There’s no denying Aussies’ love of Arnott’s biscuits, or their love of chocolate. 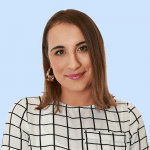 We wanted to combine the two and give people the best of both worlds and a new way to enjoy them,” Arnott’s marketing manager, Pauline Mercier, told news.com.au. Yes Pauline, you are speaking our language. The delish-sounding treats will be available from Coles, independent retailers, and major petrol and convenience stores from next week onwards. We will have all of them, please. (Yep – even the ever-controversial Ginger Nut).